Samain in Lima, Peru. 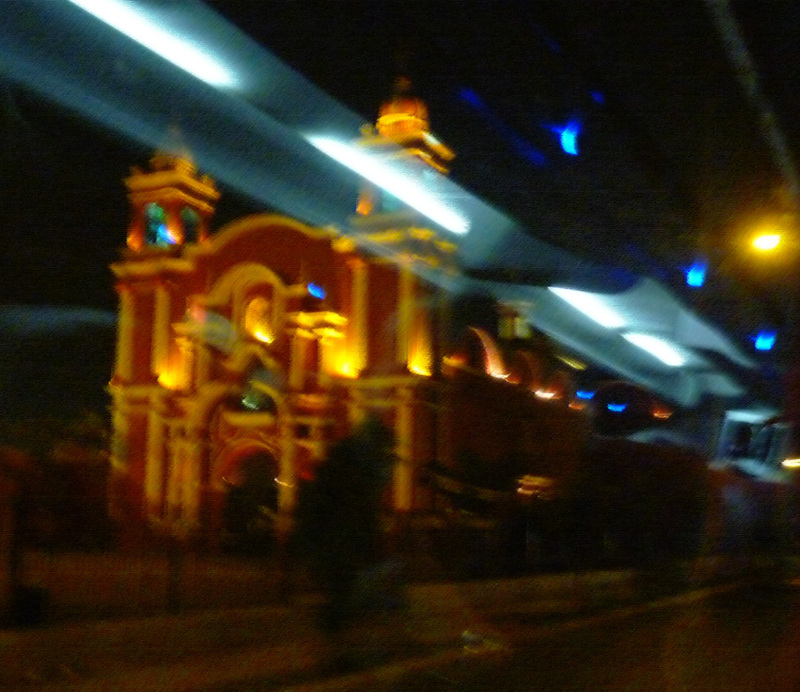 We came back through Lima from a point on the far side of the city just as evening fell. Even there, Samain’s pale memory, Halloween, saw children in Mickey Mouse costumes, princess costumes, carrying plastic pumpkins, many of them walking toward a large shopping mall in one area, a Halloween party rocking the joint. These Latin cultures have a certain affinity with Samain as a festival when the veil between the worlds thins and the dead can cross, come back to visit family or to haunt them. Cemeteries had fresh flowers at grave markers, grass had been cut, masses said, loved ones remembered. In the White City, the vast and prominent cemetery in Guyaquil, Ecuador, the mausoleums and the multiple, tall columbariums, the markers climbing the hill in the back all speak to an engagement with death, a sort of living and ongoing engagement with death, so very different from the sterile, hospital based, don’t look culture we’ve created here. Next week, a week from Wednesday, comes the Winter Solstice and Samain will be at an end. In sorting material about the Winter Solstice, about Yule, about Saturnalia and even Deepavali and Hanukkah the emphasis is mainly on Sol Invictus, as the Romans called him, the Unconquerable Sun. An emphasis on the long march of daylight that begins on the longest night. Another, equal concept celebrates the Winter Solstice as the longest night of the year, the culmination of a steady progress by darkness to push back the realm of light. Both have their mirror in the human mind. The light of reason shines itself on the questions we have about the way things are. How things work. Why this happens and that does not. Yes. But. A child lives in the warm dark for nine months before coming to the light. Ideas often lie hidden, tucked away somewhere in the darkness of the mind, back there fermenting, gathering weight. Dreams sometimes pick those ideas up and play with them. Too, our life is not all rational, not all light, perhaps not even very much so. Most of life comes from the irrational, the emotional, the intuitive and to worship the light can be a denial of these important elements in our everyday life. The Great Wheel shows us the way. We need the fallow time, the restfulness of winter and the cold, just as we need the sunny time, the growing season, the time of thinking. These needs are not occasional but persistent, coming into our lives again and again and again just as the earth wheels through the sky, repositioning the sun’s light. Blessed be.